What would you say if the landlord of your apartment building decided to charge you more rent because you upgraded your couch to a sectional with a built in recliner? Or, if your office lease payment went up when you added 10 new employees? Or, if the mortgage on your ranch doubled when you added 20 head of cattle? The answer to these questions is pretty obvious — you’d say no way am I going to pay more just because I enhanced how I use the same amount of space. While this seems like a no-brainer, you’d be surprised how leases between cell site tenants and landlords often lack this kind of conventional wisdom that we logically apply to our business practices. In the ongoing conversation about cell site lease optimization,it should be understood that “optimization” is about much more than a rent reduction. Take a look at the other enhancements cellular tenants are seeking to incorporate into their cell site leases. 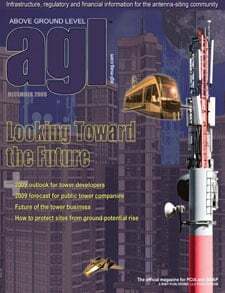 A mid-year 2008 survey by CTIA (International Association for Wireless Communications) reminds us that less than 25 years ago there were 599 cell sites — a handful compared to today’s census of 220,472. With an average 4.8-percent increase year over year, it’s easy to see that early industry initiatives were focused on launching the network. But now wireless carriers have officially acknowledged the magnitude of their real estate portfolios and are taking steps to control skyrocketing expenses and manage vast site portfolios as networks continue to evolve. In the 1980s, first-generation (1G) mobile technology was based on circuit-switched analog systems designed to singly accommodate voice communication. The second generation (2G) was a total replacement of the first generation of networks and handsets. The recent upgrade to 3G and 3.5G digital technology is yet a new iteration that has extracted a tremendous investment from global carriers. According to Wikinvest, in the United States alone, three of the largest carriers have spent a combined $10 billion on developing their 3G networks. And even with the wonders of iPhone technology still burning bright in the eye of the consumer, carriers are already pursuing the dream of 4G and evaluating how it will help them handle the increasing amount of data traffic that results from e-mail, music play, photo storage, Web surfing, and video streaming. In fact, the international telecommunications regulatory and standardization bodies are working for the official deployment of 4G networks as early as 2012, but critical definitions or base requirements have yet to be released. That basically amounts to a moving target for carriers when it comes to network planning and cell site functionality. And yet, in this swiftly moving techno-evolution, existing cell site lease language is still couched in a 1G world. Most landlords think a call from a tenant representative such as Md7 is just about rent reductions – but it is much more. While the tenant is certainly interested in paying fair market rates on its rents, equally, if not more important, is their interest in the terms of the lease. It’s the terms that protect the carrier’s ability to keep its cell site network in sync with a rapidly changing marketplace and protect its billion-dollar investment in techno brawn and bandwidth. Let’s take a look at some of the main common-sense lease enhancements necessary to ensure a cell site’s long-term flexibility. Expansion of Use gives the tenant the right to add, exchange or modify new equipment and/or add new technology or frequency within the same square footage they are currently renting. Let’s face it — cell sites were originally designed for 1G voice communication. Often the original lease language simply referred to the operating of a communications facility. As part of the negotiating process, some landlords interpret this general language to mean voice only and demand more money when tenants ask to modify a cell site to accommodate new technology. But as noted above, that’s like the rent on your apartment going up because you decide to upgrade your sofa. One exception to this might be an increase in the number of antennas, which should at least be pre-negotiated to accommodate the tenant’s future needs. Expansion of Premises gives the tenant the option to add additional square footage at a pre-negotiated rate to accommodate future equipment needs. It’s fair that more space should mean more rent, but without a pre-negotiated rate, the cell site can be held hostage when carrier modifications are necessary to meet both regulatory and consumer demands. Most landlords can agree that a pre-negotiated rate is fair, especially when the need to maintain the long-term viability of the network is involved. With each advance from one generation of technology to another, the tenant’s existing, licensed bandwidth is becoming depleted and they must purchase additional spectrum at FCC auctions in order to accommodate the many services mentioned above. Again, some landlords argue a 1G interpretation of a lease that was written for voice services versus voice plus WiMax or other similar technology. But that’s like increasing the rent on a real estate broker’s office when that broker expands to also offer mortgage services. Carriers want to be able to maintain their network in non-peak hours to avoid down time. If a site needs repair at midnight, they don’t want to wait until 9 a.m. to service it, which would hinder phone service during morning rush hour. Further, it becomes a safety issue if there’s a 3 a.m. emergency and the victim is unable to call 911 because the network is down. According to CTIA, there are hundreds of thousands of 911 calls made daily using cell phones, so there a societal responsibility to maintain the network, of which landlords play a crucial role. Usually cell site equipment is in a place that won’t interfere with business operation. Of course, the lease language should be tailored to protect the integrity of particular activities, such as refraining from repairs at a site on a church during the pastor’s Sunday morning sermon. As lease negotiators, we spend a lot of time on this issue. Some tenants want the right to assign or sublet the space they rent without restrictions or landlord approval. However, it is reasonable for the landlord to be able to control or at least approve what subtenants and/or assignees come on to their property. In certain cases it is also reasonable for a landlord to expect revenue sharing in the event that a tenant uses its expansion rights in conjunction with its subleasing rights to share the property with a third party, especially if the tenant is taking down additional square footage. Thus, regarding an assignment, it is reasonable for a tenant’s rights to be restricted to a company controlling, controlled by or under common control with the tenant, or one that buys majority control of the tenant company, which is a common occurrence. Regarding sublease rights, landlords often stand firm on this issue and make it subject to landlord consent and include a negotiated revenue share. Because carriers have tens of thousands of sites to manage, efficiency and accuracy are paramount. Fixed escalators and automatic renewals are key administrative strategies that are employed across their entire lease portfolio. A single annual or term-based rent increase for the life of the lease is more efficient than CPI escalators that have to be calculated annually on a case-by-case basis. While landlords speak to the “fairness” of a CPI, it is very difficult to maintain across a portfolio of sites. Also, tenants have too many leases to know with confidence that renewal notices or consent letters have been properly processed at the end of each term in the life of a lease. When leases renew automatically every five years, the risk of losing a lease because of a data entry error in their lease management software is reduced and there can be surety that the network stays intact. Speaking of new standards and regulations, the current debate over the need for cell site back-up power could also impact current leases. So important has the network become to the fabric of our society that the FCC is in the process of evaluating what carriers may be further mandated to do keep the network stable. Generators, batteries or other hazardous materials may become staples of cell site equipment. Tens of thousands of leases are silent on this issue and could eventually need amending. Something like this further underscores that the network is bigger than any one site and tenants are compelled to structure their leases according to the big picture.